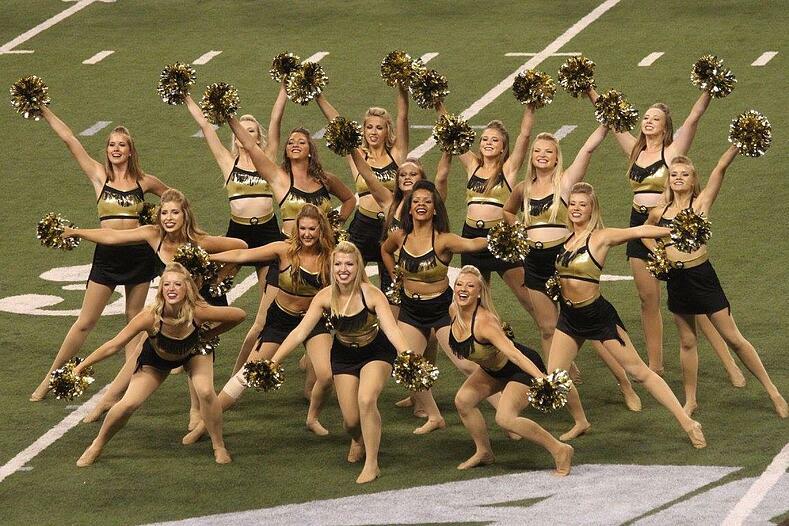 Purdue Dance Team Swept the Field in Their New Western Themed Costumes! The Purdue Golduster Dance Team debuted their new western styled costumes alongside the "All American" Purdue Marching band this fall! The band performed "Devil Went Down to Georgia," and wanted a uniform to match the theme. Their look was still all about the traditional Purdue gold and black colors, but with added tassels and belt buckles to add that Western Flair. 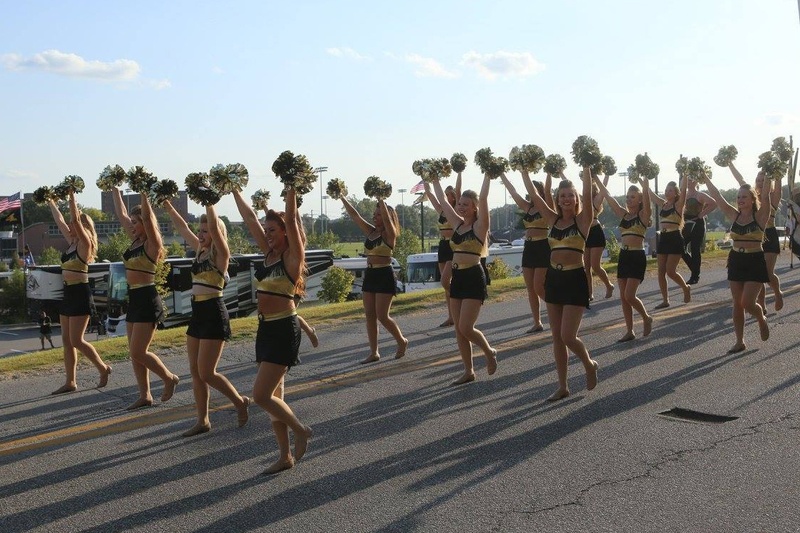 The Goldusters are apart of the"All American" Purdue Marching Band, and this allowed them to "receive so many incredible opportunities that we may have otherwise not," Katie, the team's captain explained. 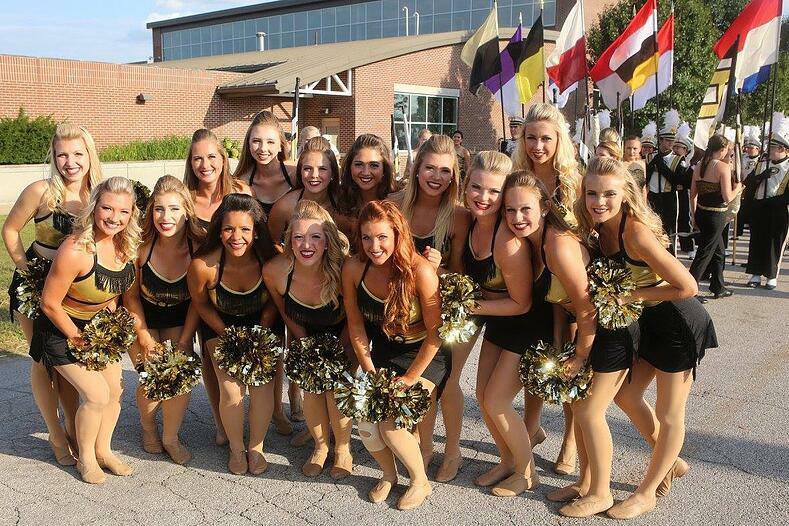 "On game days, we are the only spirit squad at Purdue that gets to perform at halftime in addition to performing at several tailgate concerts, pregame, sidelines throughout the game, and post game. We also perform at a variety of other sporting and community events throughout the year." The team also gets the great opportunity to travel every year- this Spring, they're heading to Ireland to perform in Dublin's St. Patrick's Day parade! We cannot WAIT to see the amazing images from that! Check out a video of their performance, plus more Q & A with Katie below! The Goldusters performing with the Purdue "All American" Marching Band. 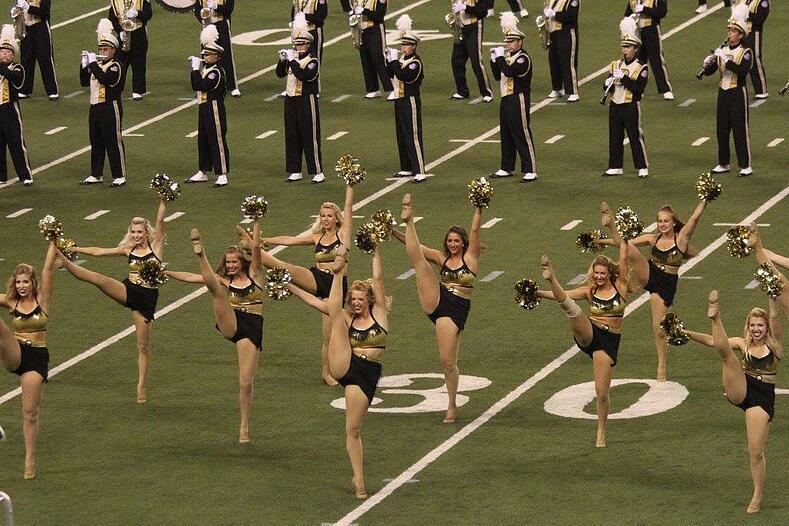 Image via the Purdue Golduster Dance Team Facebook page. As a part of the Purdue “All-American” Marching Band, each week’s halftime show has a different theme, and we receive a song that matches that theme for our feature performance during the show. For our first game of the season, the band is doing a Western show. Our routine is to “Devil Went Down to Georgia” and we couldn’t think of a better way to add to this incredible piece of music then with Western style choreography and new costumes! The choreography is full of lasso-like movement and high-energy leaps, battements, and turns with unique arms or endings. We also added a lot of hip shakes and shimmies to emphasize the tassels on our uniforms! 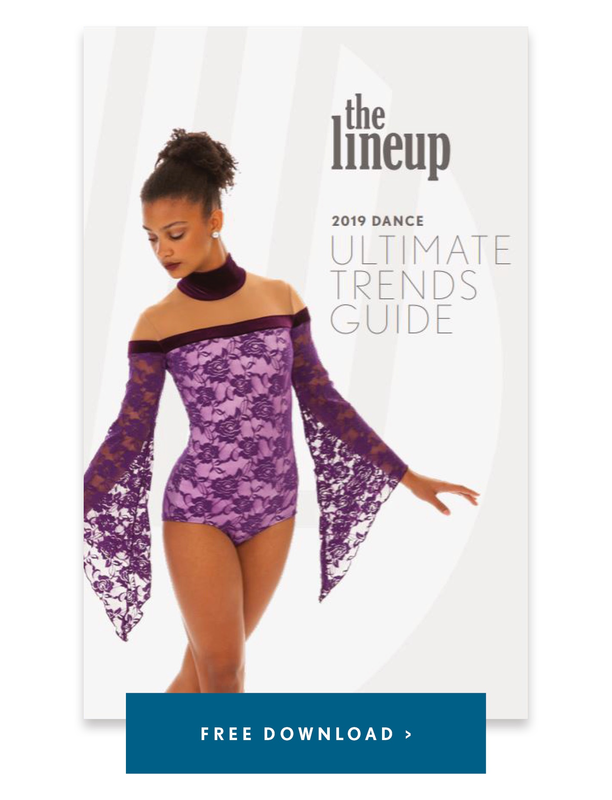 Our new costumes are still Purdue’s traditional Gold and Black with added tassels, belt buckles, and armbands to give them that Western flair. My favorite song to perform to on game day would have to be “Tear It Up”! For this routine, we get to toss our poms to the side, break out of our traditional cheer block formation, and come together for a hard hitting hip hop routine. This routine has really become a staple of the Golduster Dance Team, and the band and crowd always get super pumped up whenever it’s played and we perform! Something that makes Goldusters unique is that we are a part of the Purdue “All-American” Marching Band. As a part of the band, we receive so many incredible opportunities that we may otherwise not, and we also receive 2 credits per semester for being a member of the team! 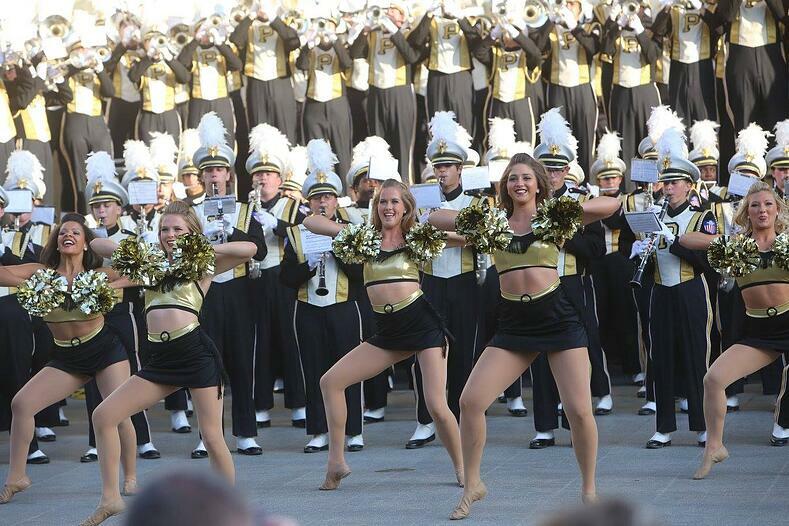 On game days, we are the only spirit squad at Purdue that gets to perform at halftime in addition to performing at several tailgate concerts, pregame, sidelines throughout the game, and post game. We also perform at a variety of other sporting and community events throughout the year. My favorite memory as a Golduster would have to be our trip to Medellin, Colombia in South America. We had the amazing opportunity to perform in the Feria De Las Flores Parade, as well as other performances throughout the city, and it was truly an experience I will never forget. The people of Medellin were so excited to see us perform, and we were showered with flowers by the crowd as we danced down the streets. I am extremely excited for our Friday night game this season as Purdue takes on Ohio under the new lights of Ross-Ade Stadium. This new addition to the stadium will be a great way to showcase our new uniforms again, and will also be a really fun game to perform at! I think our teams biggest challenge is the amount of choreography we learn in such a short amount of time. We have to learn and perfect various fight songs, cheers, sideline and outreach routines, and a pregame show in a matter of weeks in addition to learning a new halftime routine for every game. With practice everyday, and a lot of dedication and hard work put in outside of practice, we are really able to overcome this challenge and be ready to go on game days! As a Golduster, we are always extremely blessed with amazing travel opportunities. Every year, we travel to Indianapolis for the Indy 500 to participate in the IPL 500 Festival Parade, march around the track, and perform in the Winner’s Circle before the race! This year, we will also be traveling to Ireland to perform in the Dublin’s St. Patrick’s Day Parade, and I can’t wait for another incredible international performance opportunity!